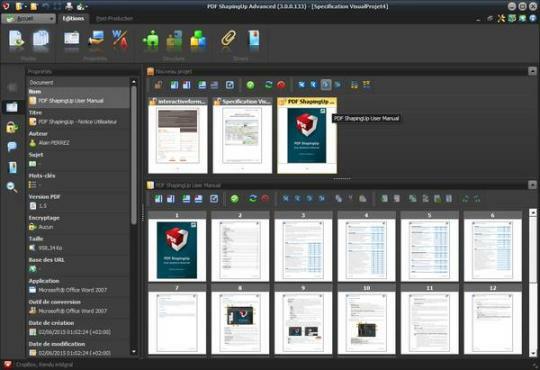 PDF ShapingUp Advanced is a PDF editing tool with which you can cut, separate, extract or add images, text and watermarks to any PDF document. Uncompromising, PDF ShapingUp is the all-in-one solution for users who want the best of PDF without complexity and at the best price. 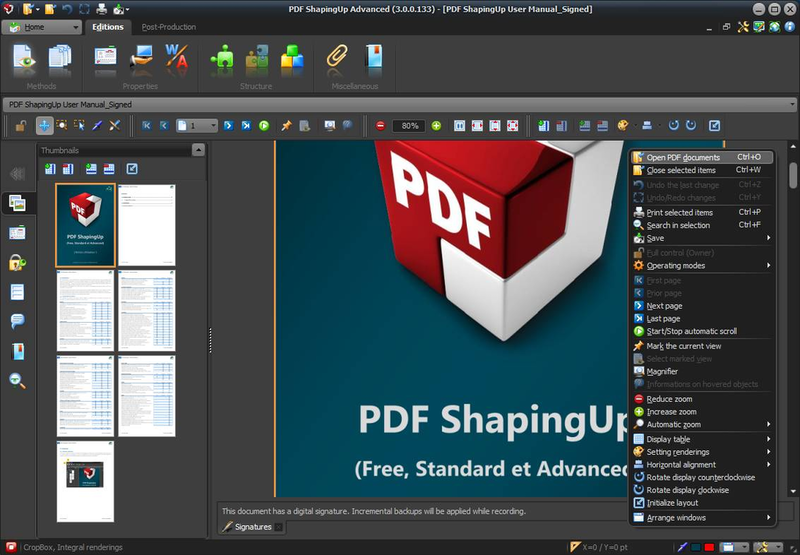 PDF ShapingUp can be used to merge and split documents, organize pages, add contents such as texts, images, bar-codes and vector graphics, and add interactive items such as bookmarks and form fields. 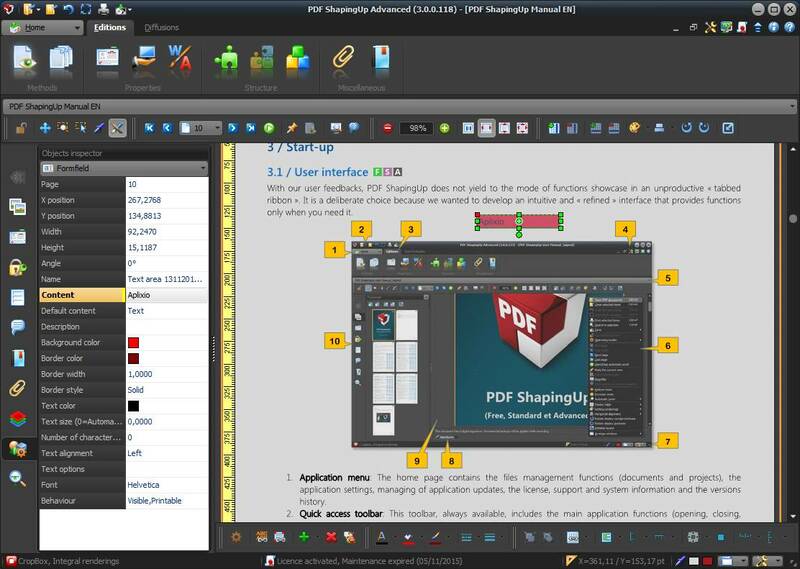 PDF ShapingUp is an application with its pros and cons. On the one hand it does effectively a useful job, but on the other hand the translation is so poor than can lead you to mistake.